Bad officiating in Philippine basketball. So what's the call? You must have heard countless times that officiating a sporting match is a thankless job. Whatever call you make, someone will have something to say about it. Sure, it is thankless. And it is definitely difficult. But I am sorry, that is not an excuse. You can never call a perfect game. There will always be varying opinions or one’s take on the rules, but what an officiating crew – including their supervisor – is to cut down on calls that – well – make a difference and change the outcome of a match. The recent brawl between Australia and the Philippines was also because of the failure of game officials to not only control the players, but to also make the appropriate calls or issue warnings of the stern kind. There are hundreds of basketball leagues all over the Philippines and I imagine there must also be quite a number of referees groups. Each one under different personalities. You see certain officials criss cross. They transfer for a variety of reasons – usually for competence and sometimes because they engage is shenanigans. Why aren’t these officials under one umbrella? Why is their interpretation of the rules different from one another? Why are some officials who are banned or fired still officiating in the first place? Are the PBA referees the only ones who review matches using video? Plenty of questions – and there’s more I can assure you. And that brings me to the current NCAA Season 94. Most of the referees are new. A coach of one team personally told me that he asked one ref about his experience and he replied, barangay level. The coach was aghast. From the barangay to the NCAA? Watching a recent match played by Jose Rizal University, a Heavy Bomber grabbed the defensive rebound and was called for stepping on the line when his foot was a good two feet away from the baseline. I sat by the baseline and was aghast at the call. Last Friday, July 27, the Arellano University Chiefs went up against the San Sebastian Golden Stags. Two really bad calls went against Arellano – all in overtime. The first was at the 2:10 mark when one official called Arellano’s Maui Sera Josef for a foul! What happened was SSCR’s Michael Calisaan was trapped in the right corner forcing him to throw the ball out to teammate Alvin Capobres. The shot clock was winding down and he immediately threw the ball to teammate Michael Are who drove to the basket and missed an attempt with three seconds left in the shot clock. Three players contested the rebound – SSCR’s Capobres and JM Calma and Arellano’s Sera Josef. Capobres was backing up and pushed Calma into the way of Sera Josef who hardly grazed Calma. Yet the Chief was called for the foul. The score was tied at 76-all at that point and Calma tacked on one free throw. A minute and 55 seconds later with Arellano trailing San Sebastian 80-79 and 15 ticks left, that same official called the Chiefs Michael Canete for a pushing foul. What happened was the Stags’ Arjan Dela Cruz called for a screen from Calma. Calma was Cañete’s man and he followed knowing the two Stags were going to run a pick and roll with all its options. And now, he never shoved Calma – as the referee’s motion suggested. He could have called a hand check on the Chief’s Levi Dela Cruz but it would have been a soft call as he hardly held Dela Cruz. The call was against Cañete. I was also able to take video of that call and I also recall the Arellano coaching staff really shocked at the audacity of the call. I showed it to Jerry Codinera afterwards and he held back his anger. Calma split his free throws, 81-79, SSCR. With time running out, Sera Josef found Dela Cruz above the arc and with three seconds left hit a deadeye trey over Are and Arjan Dela Cruz for the game winner. You can say that it is poetic justice for Arellano, but these are crucial calls that could have really changed the outcome of the game. That match should have been won by San Sebastian but they shot atrociously from the free throw line and that clearly did them in – 12-28 for 42% shooting. Eight of those 12 missed free throws were from the hands of Calisaan. If he made two free throws at the end of regulation then there would have been no overtime. But this isn’t about missed opportunities but bad calls. And there were some really questionable ones during the Lyceum-Mapua match that closed out seniors’ ball last Friday. I know teams work really hard, schools and fans spend their hard-earned money, and at the very least they should get a well-played match with pretty good officiating. If teams watch game film afterwards what I want to know if the officiating crews and supervising officials do the same? Or do they run off to their next gig like the MPBL? As a people, we have made great strides in the way the game is taught and played. But sorry, in my opinion, officiating, hasn’t improved. Yes, again I know it is a difficult job and the referees should get really good training and be protected from obnoxious fans or even those who deign to affect the game with their betting and whatnot. The question remains, what is being done to improve the quality of officiating? 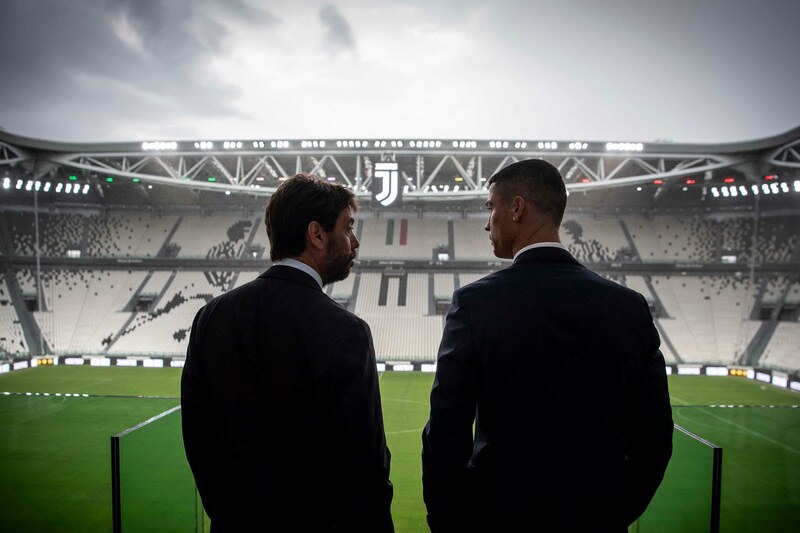 Ronaldo to Juventus: I'm going to make this club great. Juventus: Actually, Ronaldo, we have won 34 Serie A championships. Including 7 straight. Juventus: And we have 13 Coppa Italia, 7 Super Coppa Italiana, 3 UEFA Cups, 2 UEFA Champions League, 2 UEFA Super Cup, 2 Intercontinental Cups, and 1 UEFA Cup Winners' Cup titles. Juventus: Oh, we have 1 Serie B title when were relegated in 2006 for match fixing. Ronaldo: Yeah, but you've never had a player who's won 5 Champions League, 5 Ballon D'Or Awards, and a player who has scored as many goals as I have! That’s what the Lyceum Pirates must have said after their 82-65 win over the Arellano University Chiefs. In the first period, the Chiefs pounded LPU real bad that you would have thought that the way the three-point shots were raining inside the Filoil Flying V Centre that Typhoon Josie was still in town. The Arellano University Chiefs could do no wrong. They drilled five triples and after Archie Concepcion drove for a bucket to make it 34-17, coach Jerry Codinera’s troops were up by 17. By game’s end, it was LPU that had won by a 17-point margin. For a while there, it looked that Lyceum would succumb to its first loss of the young NCAA season. Arellano’s Adrian Alban, Brylle Meca, and Michael Cañete repeatedly took it to the basket unmindful of Pirates center Mike Nzeusseu’s presence. After LPU sliced a 13-point deficit to nine, 26-16 following a Jayvee Marcelino trey, Arellano responded with a bombardment of their own for an even bigger 17-point margin. While the Chiefs played great defense, the Pirates were also a bit unlucky. CJ Perez missed two lay-ups while Nzeusseu bungled two dunk attempts much to the delight of the predominantly Arellano crowd. With their offense in a funk, Lyceum turned to its star and to playing defense to turn matters around. Perez stole the ball thrice in succession and scored five points off them. The defensive display rattled the Chiefs who would not be the same the rest of the game. By second period’s end, their once imposing lead was down to four, 41-37. Ten minutes later, LPU led, 58-54, and never looked back. At the 7:51 mark of the fourth quarter and the Pirates leading 62-56, Perez reprised his second period heroics when he scored seven straight points all off lay-ups including an and-one for a 69-56 lead. Then at the 3:40 mark, he delivered the coup de grace when he drilled a triple from the left corner pocket, 72-56, LPU. Perez, in one of his most brilliant performances in his collegiate career, top scored with 31 points while adding six boards, six assists, and five steals. “When you have a special player like CJ, sometimes you just ride that same wave as he does,” quipped Robinson. Unlike Game One of last year’s NCAA Finals against San Beda where the Pirates had panic written all over their faces as the Red Lions seized the momentum and ended their dreams of a sweep – after going 18-0 in the elimination round – with a 94-87 win, this season, LPU despite twice challenged twice by Emilio Aguinaldo College and now, Arellano, have looked composed. Other than a more composed nature, one other difference is that the team trusts each other more. Last season saw some new faces added to the mix – Perez, the Marcelino twins. Now that everyone has been to war together, including the winning D-League campaign, they trust each other more. “That is why our motto is ‘together is better,’” pointed out assistant coach Jeff Perlas who knows a thing or two about winning having been a part of National University’s historic UAAP Season 77 champion squad along with current Pirates forward-center Ralph Tansingco. Robinson also knows a thing or two about winning having been a part of San Sebastian’s 1997 NCAA champion team with current his LPU assistant, Rommel Adducul. Robinson was also a part of some of champion teams in the PBA from Red Bull to Alaska as a player and as a coach. Of course, the season is young and any talk about a championship is premature at this point. The memory of last season’s 18-0 and subsequent 0-2 finish is still fresh more so with a meeting with San Beda looming on the horizon. The news of football player Mesut Ozil’s resignation from the German national team citing racism as a result comes at a terrible time. Most recently, there was that now infamous basketbrawl between Australia and the Philippines; one of the ugliest fight scenes in sports history. Some Filipino players called out the racist taunts by the Australians. While that may be possible, that in my opinion was exacerbated by getting blown off the court and that caused many a fuse to shorten. Furthermore, we as a race aren’t so squeaky clean as we like to believe we are. That happens in local playing fields and doesn’t excuse the Filipino athlete who also engages in that kind of talk whether miniscule or not. During last summer’s Filoil Flying V Preseason Cup, the College of St. Benilde and the Colegio de San Juan de Letran nearly came to blows over alleged remarks made by players from the latter team towards the former’s Clement Leutchu and Fil-American, Yankee Haruna. When asked if they would like to file a formal complaint, CSB team officials decided not to push through with it. While it is entirely their right, even the way it was swept it under the rug, is disconcerting. This attitude of not offending anyone even if one was actually offended is off-putting. The Australia-Philippines fight might not have been precipitated by a racist taunt, but it was allegedly part of it. 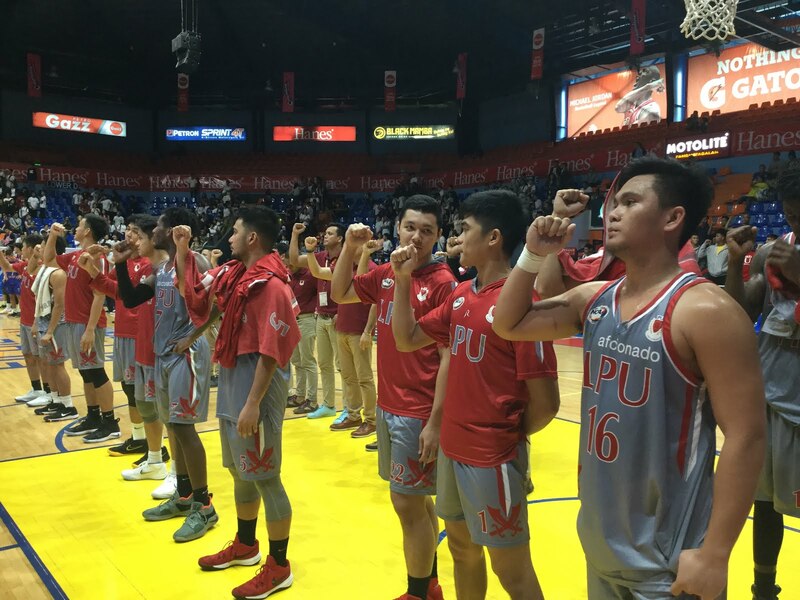 Prior to that, the last big brawl on domestic soil regarding something of that sort was when San Beda basketball players mauled San Sebastian volleyball coach Roger Gorayeb. At that time, then Red Lions player Ola Adeogun went after San Sebastian men’s volleyball players over alleged racists remarks – inside San Beda’s own campus. Gorayeb, who at that time was coaching a women’s match in a nearby court, rushed to the defense of his men’s team and was assaulted. Incidentally, Gorayeb sued the people who assaulted him and won an out-of-court settlement. Last January, during a heated match between the San Miguel Beermen and NLEX, Road Warriors coach Yeng Guiao was alleged to have said racist slurs in the direction of SMB’s Chris Ross. No. Not at all. It happens a lot locally and I have witnessed a lot of it. I saw how it drove Adeogun and Bright Akhuetie, then playing for the University of Perpetual Help really crazy. Whether opponents used it as a tactic is beside the point (hey, the Australians can also claim that if they really did say it as well). It was used and not more than once. Wasn’t it not too long ago where a television commentator noted that the Fil-foreigners who suit up for the Azkals weren’t Filipino? And didn’t a former coach also deride to the locals? I heard that personally from many a player yet when pressed for an official comment they chose not to. For what – fear of reprisal? Team management? Yet when Filipinos watching that now infamous game with Hong Kong during a football match in 2013, we were showered with so much racist abuse. It really does go around. Having said that, racism is clearly a problem. And in these dangerous times we live in when populist leaders and extreme nationalism has reared its head, it demands cooler heads, respect and understanding which are all in short supply nowadays. We hush when it’s a domestic concern but speak out when hurled by other people towards our direction. Worse, is a double standard in “race”. I also recall similar attacks levied against Fil-Hungarian decathlete David Bunevacz who after he failed to win any medal in any track and field competition, was decried as a “foreigner”. However, upon his arrival, he – like any Filipino of mixed descent – is tagged as “Filipino”. And thus, Mesut Ozil’s remarks about being German when they win but an immigrant when they lose isn’t far-fetched. All one has to do is read the chatter surrounding it to see how terrible it is. In this day and age of multi-culturalism with extreme forms of nationalism at its borders, it’s a damn shame. In fact, it is disgusting.